Thank you to everyone that attended our Revealed/Networking event on November 1st! It was a lot of fun and I enjoyed the tips provided by our guest speaker, D.P. Knudten, about how to leverage social media for your personal brand and networking. We had several new members attend. Our Programming Committee is working hard to line up valuable, educational sessions for 2019. The details on dates and topics will be posted on our website in the near future. A huge thanks to our volunteers for ensuring timely topics and that we follow through on providing recertification credits for our members as part of our regular programs. For those that aren’t aware, we plan our topics based on the feedback provided from our members. Please make sure you fill out our annual membership survey that comes out each summer. We want to hear your ideas for programming content! 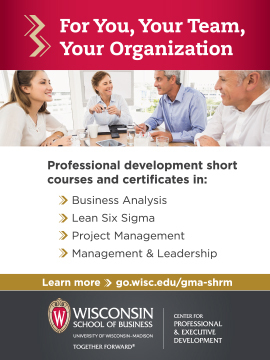 I am excited to share a special end of the year offer for GMA SHRM members. You can save $15 on a new or renewing SHRM membership by using promo code State18Q on or before November 30th, 2018. National SHRM membership provides really valuable tools and resources to help keep us compliant and current. The Internal Revenue Service ("IRS") recently issued revised model safe harbor explanations that administrators of qualified retirement plans (e.g., 401(k), 403(b) and 457(b) plans) can provide to participants who are eligible for a rollover distribution from the plan after terminating employment or a plan termination. These safe harbor explanations may be used to satisfy the requirements under Internal Revenue Code ("IRC") Section 402(f) for the notice that plan administrators must provide to plan participants about tax consequences related to taking plan distributions that are eligible for rollover. These notices, often referred to "402(f) notices," must be provided to plan participants 30-180 days prior to the date a distribution is made. The self-certification procedures under Revenue Procedure 2016-47 for claiming eligibility for a waiver of the deadline for making rollovers into a qualified plan or individual retirement arrangement ("IRA"). Recognize the possibility that taxpayers affected by federally declared disasters and other events may have an extended deadline for making rollovers. The 2018 Rev. Proc. also contains two appendices--Appendix A and Appendix B.Appendix A provides two model rollover notices that can be sent to plan participants—one for distributions that are not from a designated Roth account and one for distributions that are from a designated Roth account.Appendix B provides amendments that plan administrators can use to update safe harbor explanations from the 2014 Rev. Proc. if they prefer to update those explanations rather than replace them with the safe harbor explanations contained in Appendix A of the 2018 Rev. Proc. The 2018 Rev. Proc. can be found at https://www.irs.gov/pub/irs-drop/n-18-74.pdf. Plan administrators should carefully review the 2018 Rev. Proc. and update their 402(f) notices accordingly.Plan administrators can use the revised safe harbor explanations provided in the 2018 Rev. Proc. to satisfy the notice requirements of IRC Section 402(f) unless and until the explanations are no longer accurate due to changes in relevant laws. The U.S. Department of Labor (DOL) is targeting March 2019 to release revisions to Fair Labor Standards Act (FLSA) after holding a series of listening sessions across the country (Atlanta, Seattle, Kansas City, Denver, Providence, R.I., and Washington D.C.) to gather feedback about how to move forward from the 2016 FLSA Overtime Rule which was promulgated and then subsequently blocked by a preliminary injunction issued by the U.S. District Court of Eastern Texas, a few days prior to scheduled implementation on December 1, 2016. Testimony was provided by various individuals and groups during the six listening sessions, with the majority of the comments centered around the exempt salary threshold and any updates to the current duties test. The Obama administration had proposed an exempt annual salary threshold of $47,476 which would have more than doubled the current salary threshold of $23,660 established in 2004. While most agree that the salary threshold is overdue for an update, many employers favor a smaller increase. U.S. Labor Secretary Alex Acosta has previously shared that he believed a threshold between $32,000 to $35,000 would be more appropriate. Some pro-worker groups would like to either see the originally proposed salary threshold amount retained or if not, the implementation of a “more stringent duties test” with a suggestion that no more than 20 percent of hours worked by an employee in a workweek could be performing nonexempt work to remain an exempt employee. While it is anticipated that the DOL will release their updated rule in early 2019, there is no indication of when an updated overtime rule would be effective. One concern from employers in regard to the 2016 overtime rule was the amount of time that employers were given to implement a new salary threshold within their organizations in a short period of time. Employers are hopeful that the DOL will this time provide an adequate amount of time for employers to implement the new policy. Your GMA SHRM Government Affairs committee is excited to announce the 2019 WI SHRM Day on the Hill event is set for February 13th and 14th. Registration will soon be open on the WISHRM website. Prior to the Day on the Hill event, online training on how to conduct an advocacy meeting will be delivered. The day of the event will include an employment law update from Attorney Bob Gregg of the Boardman & Clark Law Firm, discussion on SHRM advocacy efforts from Meredith Nethercutt, Director for Member Advocacy at National SHRM, and other educational topics. Sessions will be submitted for preapproval of recertification credits. The day will conclude with scheduled meetings with your individual Legislators and/or Legislative staff members at the Wisconsin State Capitol. Legislator meetings typically last about 15 minutes, at which you will discuss current issues pertinent to the human resources profession. If you are a first time attendee and unsure of the legislator meeting process, just tell us on your registration form and we will ensure we have someone to attend your first meeting with you! Business attire is recommended for legislative meetings. Also, join us at the Top of the Park on Wednesday evening from 5:30pm to 7pm for a social/networking event. Dress is casual. If you are unable to attend the Thursday Day on the Hill event, but would still like to attend the Wednesday networking event, the cost to attend the networking event only is $25. Greater Madison Area SHRM offers two $750 scholarships to students pursuing a career in human resources. Applications are accepted in the fall of every year with the recipients being announced in early January. This is one of the easiest scholarships to apply for - so apply now! List all school activities, including SHRM and relevant organizations, in which you have participated during your college experience. List all community activities in which you have participated without pay. Note all special awards, honors, and offices held. Include participation in any research projects as well. A little note was taped to our refrigerator growing up, “Be great in the little things.” Little things can make a difference. Giving back to GMA SHRM an organization that has been an important part of our HR client’s growth, has provided me with the opportunity to get to know the membership better, understand the industry in which we partner with, and allows me the opportunity to contribute to its overall success. I love GMA SHRM, I LOVE networking, and I love getting other people excited about things I am excited about! The Media Relations Committee has been a perfect fit since I joined it in 2015! 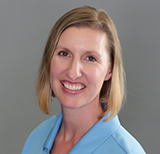 Joining the committee truly was the catalyst for many professional (and personal) connections & advances over the years – my professional network is SO rich and rewarding, and has become a huge part of my identity, and I 100% have GMA SHRM to thank for that! I volunteer because I enjoy meeting new people, networking, learning from others and sharing what I know to help other HR professionals responsible for talent attraction, employee engagement and employer branding. ‘Day Job’ – Safety & HR Assistant @ Vogel Bros. Building Co. Through GMA SHRM, I’ve met some amazing HR professionals with years of experience that they’ve graciously shared with me through knowledge and support. The least I can do is share some of my time weekly and monthly to help reach other HR professionals and grow the GMA SHRM community. I started volunteering once I got my SHRM-CP, but I’m extremely glad it brought me here. I enjoy networking and learning from others, especially like-minded individuals who face similar challenges. We can collaborate and find solutions together, as we develop in areas we may lack knowledge/experience in with the help of others with that strength/experience. I most enjoy having people to talk through and brainstorm/strategize how we can move HR forward in many different aspects in our ever-evolving role as we serve our people in various industries, with one common goal - valuing our employees by showing we care. I have been involved with GMA SHRM since 2014. Each leader I have met in this organization has been inspiring. My favorite perk as a member is that at GMA SHRM you are surrounded by HR professionals who care to make a difference not only in their workplaces, but also by doing impactful community service around Madison. It is truly a great organization with wonderful people in it! ✓Engage with HR Leaders ✓ SHRM Student Membership ✓ Scholarship Information ✓ Mentoring Opportunities ✓ And more! Picture this: you’re binging Netflix on your couch, & also volunteering. You’re @ a kids soccer game, & also volunteering. You’re sitting outside on your lunch break, & also volunteering. Think it’s impossible? Think again! Join the GMA SHRM Media Relations Committee & volunteer whenever/wherever you are most comfortable. Have creative ideas and can run with them! Feel free to join us at our next meeting on Tuesday, November 27TH at 4:30pm at Pooleys - 5441 High Crossing Blvd, Madison, WI 53718. Guests Welcome! ﻿GMA SHRM welcomes the following members who joined our chapter in September 2018! Andy Yang ATTIC Correctional Services, Inc.